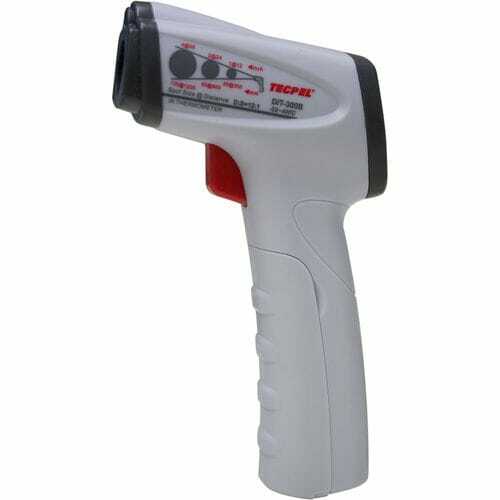 Infrared radiation thermometer / digital / rugged / industrial - Tecpel Co., Ltd. Detection - Measurement > Temperature and Humidity Measurements > Tecpel Co., Ltd.
TECPEL DIT-300B is an infrared thermometer that determines temperature of objects through their emitted radiation. Its main function is to measure temperature from a distance. This non-contact infrared thermomer consumes very little power and helps users to measure temperature quickly safely, and accurately. A great tool for industrial maintenance and troubleshooting applications. 11. After the measurement button (MEAS) is released, the function is automatically read.